BOSS' First Ever Collaboration. 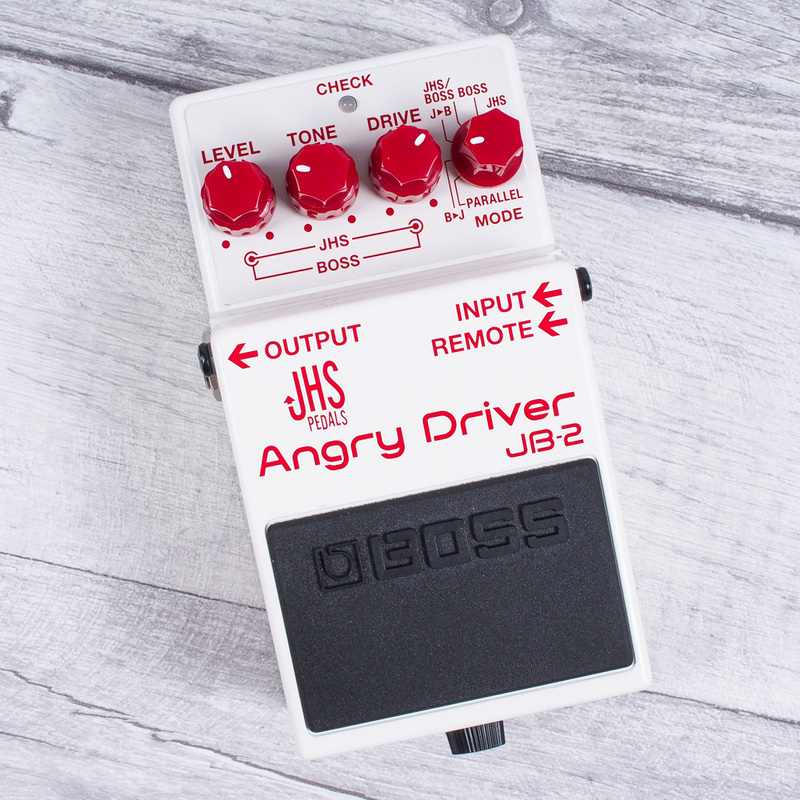 Boss/JHS JB-2 ANGRY DRIVER PEDAL! BOSS’ First Ever Collaboration Pedal. The Boss/JHS JB-2 ANGRY DRIVER! BOSS’ First Ever Collaboration. 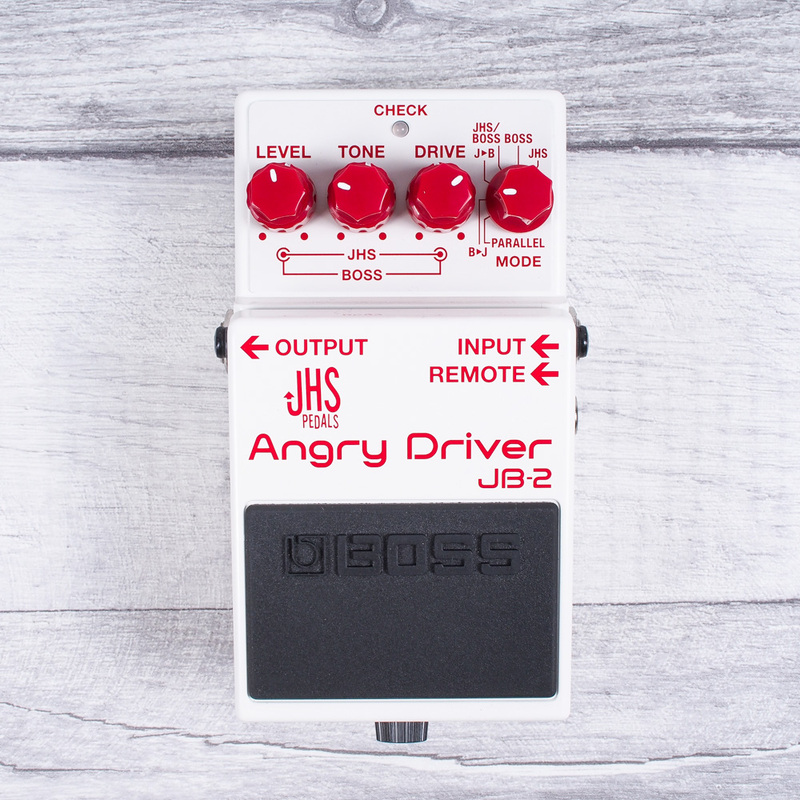 Boss/JHS JB-2 ANGRY DRIVER PEDAL! 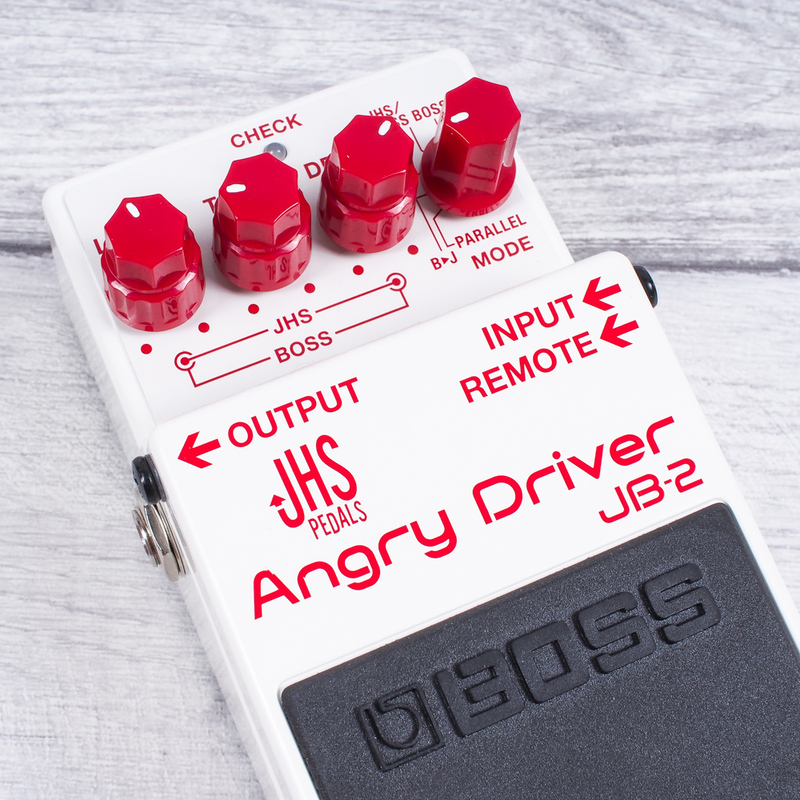 The Boss JB-2 ANGRY DRIVER is Boss’ first ever collaborative pedal, designed in conjunction with JHS pedals. This is a dual overdrive pedal taking circuits from two companies and combining it into one, incredibly versatile overdrive pedal. Capable of anything from boost to all out distortion, the JB-2 features more than enough gain on tap and with separate control over both circuits, you get unbelievable control over your tone. Inside the JB-2 you’ll find a modified Boss BD-2 gain circuit, Boss’ legendary overdrive in production for over 25 years and used by players all over the world and JHS’ now famous ANGRY CHARLIE high gain drive, modded and re-born into a new compact unit with three knob design. What’s special? Well Inside, you get both circuits; complete with independent LEVEL, GAIN AND TONE, thanks to Boss’ Dual concentric pot design, controls over each and well as a ton of different options for running the two together. The pedal design has been created with versatility in mind to cater for all levels of gain with high gain and low noise. You also get a feature that Boss first introduced two decades ago – Remote switching. Using a Boss Latching Footswitch gives you options to switch gain circuits on the fly or even run them in SERIES and PARALLEL. With Remote switching, you could even use your switching system to change circuits automatically. Boss has also implemented different LED’s giving you Blue for Boss, Red for JHS and a special White LED when running both together making it easy for you to know what setting you are on. With a remote switch added and the six modes you basically get one of the most versatile drives on the market giving you 12 options and almost infinite possibilities. The BD-2 gives you that legendary low gain tone, that can be used to push amps into sonic bliss and give you light, touch sensitive gain. While the Angry Charlie gives you full-on, high-gain, Plexi like tones. All standard Boss compact features are implemented, battery powered, 9-volt input, high-quality sound and legendary Boss build quality. Previous GAK Visits The Legendary MOOG Music Factory! Next New Colours Available for Fender Offset 2017 Series!